Projects CLIP CLIP Guardia di Finanza, large companies, FALCO. 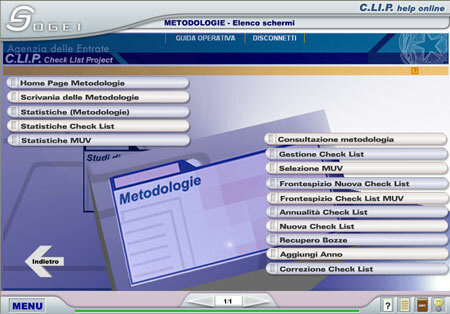 SOGEI, the company general computer owned by the Ministry of Finance, adopted by the Inland Revenue, Gradus as a platform for e-learning training on custom applications behind the new business processes. All training projects are currently underway and two other (yet unnamed) is scheduled for late 2005. Users reached about 2,000 by intranet.